For detailed song information, and to listen to a few sound clips, click here. To purchase this CD via mail order, click here. 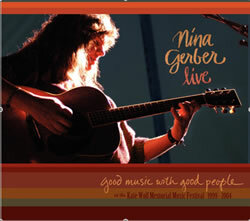 You may also purchase this CD online through the Sebastopol Community Center by clicking here. Proceeds from this CD help fund "Jugalbandi", a community enrichment project of the Sebastopol Community Center and Cumulus Productions. The program provides local school children with the opportunity to attend performances that showcase world class artists. Thank you for helping to support such a worthy cause. 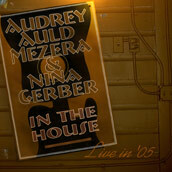 Nina Gerber teams up with singer/songwriter Audrey Auld Mezera for a live cd recorded in December '05 called, "In the House." 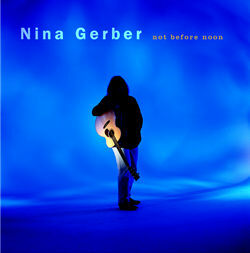 Click here for more information about the cd and how to order. No matter what age, we can always use a little help to relax and unwind, especially in these crazy times. 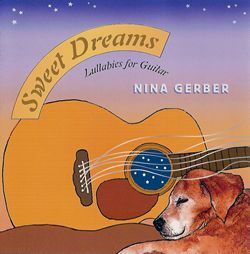 This recording of acoustic guitar instrumentals is an attempt to help calm and soothe. Nothing fancy, no guitar pyrotechnics - just simple and pretty tunes, hoping to get to the heart of the music, and in turn, the heart of the listener. Whether rocking your baby to sleep, or just trying to shake off life's little intensities, I hope this cd will help to bring some peace to your day.